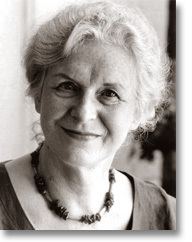 Dame Gillian Beer was born on 27 January 1935 in Bookham, Surrey, and was educated at St Anne's College, Oxford. On graduating she lectured at Bedford College, London, (1959-62) and Liverpool University (1962-4). A Fellow at Girton College, Cambridge, between 1965 and 1994, Gillian Beer began lecturing at Cambridge in 1966 and became Reader in Literature and Narrative in 1971. She was made Professor of English in 1989 and in 1994 became King Edward VII Professor of English Literature and President of Clare Hall at Cambridge. She holds honorary degrees from Liverpool University, Leicester University, Cardiff University, Anglia Polytechnic University, London University, Oxford University, Queen's, Belfast and Universit� de Paris Sorbonne, and has been awarded medals by M.I.T., St Andrew's University and the National Autonomous University, Mexico City. Gillian Beer became a DBE in 1998. She was a Booker judge in 1993, Vice-President of the British Academy from 1994 to 1996, Chairman of the Poetry Book Society (1992-6) and Chairman of the Judges of the Booker Prize for Fiction (1997). She is a Fellow of the Royal Society of Literature, Fellow of the British Academy and a Foreign Honorary Member of the American Academy of Arts and Sciences. Her books include Darwin's Plots: Evolutionary Narrative in Darwin, George Eliot and Nineteenth-Century Fiction (1983, 2nd edition 2000) and Virginia Woolf: the Common Ground (1996). Dame Gillian Beer lives in Cambridge.